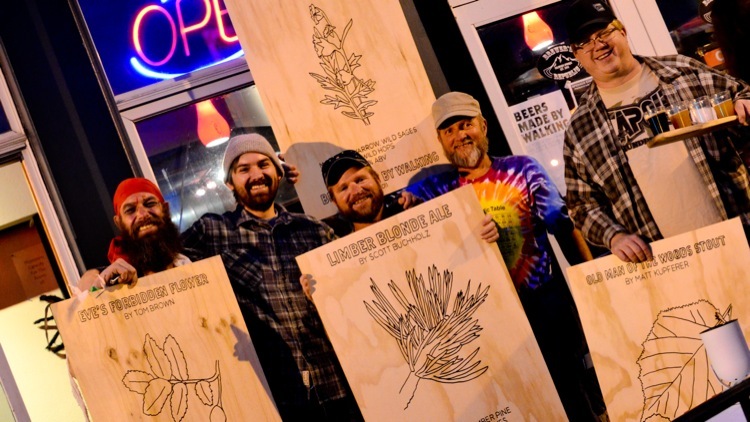 The final event for Beers Made By Walking took place about a week and a half ago. It was a lot of fun and many people were asking if we could do it again next year so it’s something I’ll be entertaining. 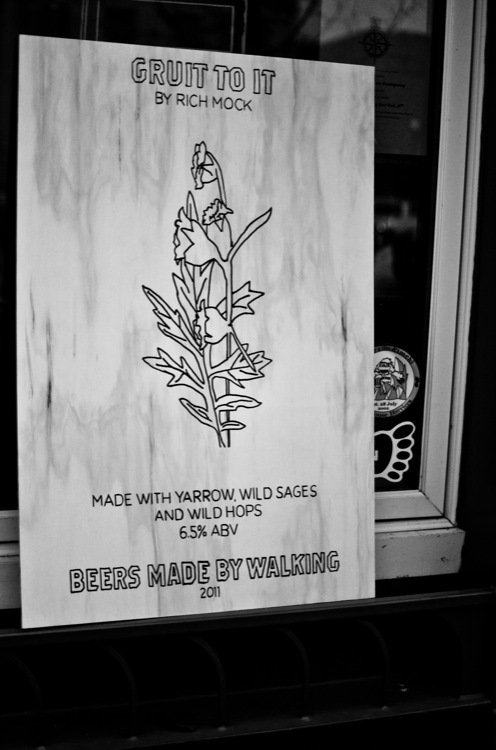 For those of you who missed out on all of it, Beers Made By Walking was a summer long program where we went on a series of public hikes throughout the Pikes Peak Region, identified edible and medicinal plants along the way, and then made beers based on what we saw on the trails. There were two tastings, the first in August. 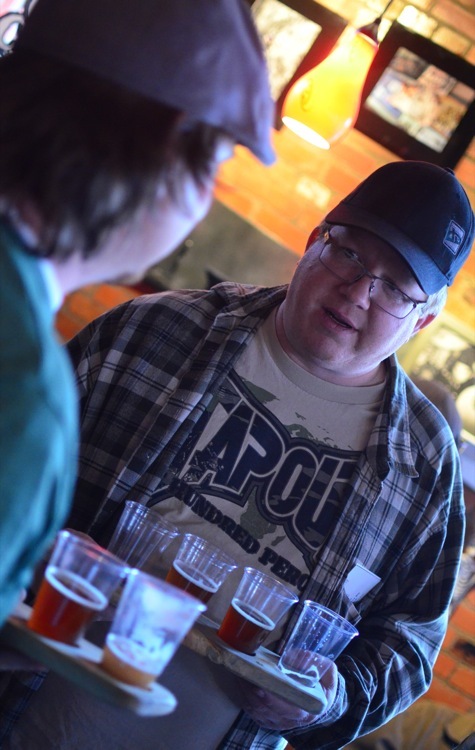 The beers were brewed by local homebrewers but produced up at Pikes Peak Brewing, so that they were commercial and could be on tap at our downtown hangout, Brewer’s Republic. 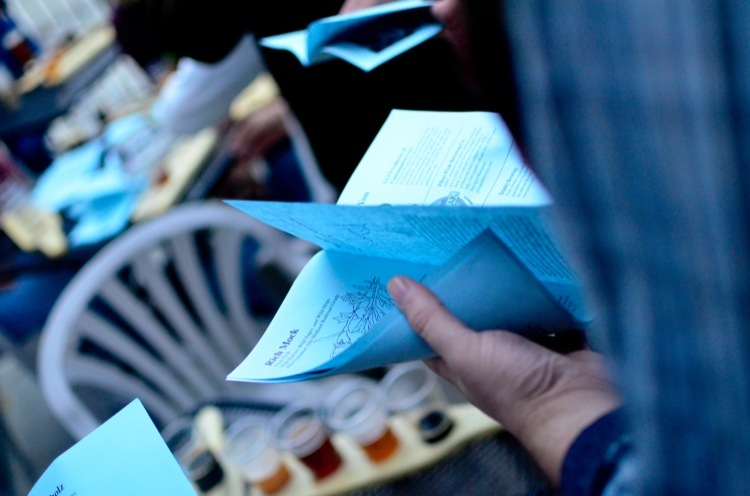 Anyone who showed up was given a sample tray to use for the day and a twelve page menu that had all sorts of information on the beer, the brewers, and the project itself. You can see the beers in the above photo. The closest one was from the first hike for this series (technically the 4th hike though) at Mueller State Park – a Strawberry Blonde Ale with Limber Pine by Scott Buchholz. The next was by Rich Mock, the hike was the Old Midland Railroad Grade in Manitou, the beer was gruit-ish with yarrow and wild sages but also some hops added strictly for flavor and aroma. The next was a saison by Tom Brown, complete with bee plant, amaranth, rose hips, tansy mustard, some wild hops, and water from the Catamount Trail hike in Green Mountain Falls. At the far end was Matt Kupferer’s beer, inspired by North Cheyenne Canyon Park with Hazelnuts, Sarsparilla, and Spruce. The beers were all very different from each other the same way they were all very different from the first four beers at the previous tasting. Thank you for attending the second, and final, tasting session for this year’s Beers Made By Walking. 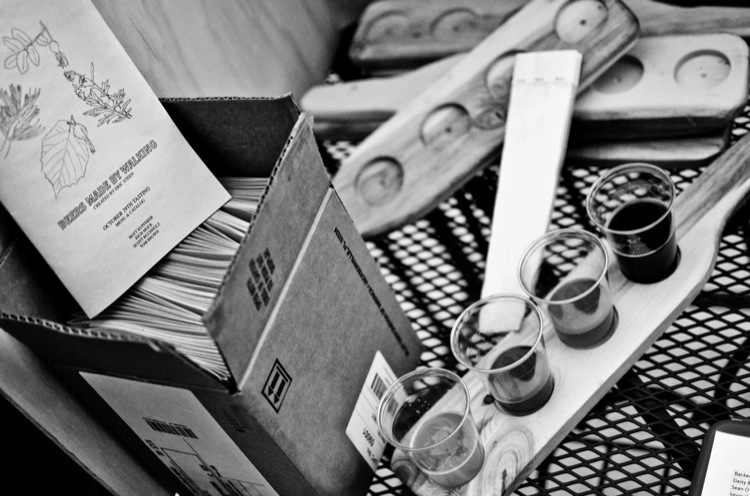 BMBW was a four-month-long program that consisted of seven hikes, eight homebrewers, and eight beers. On each local hike a homebrewer, naturalist, and a public audience set out and identified edible and medicinal plants along the way. 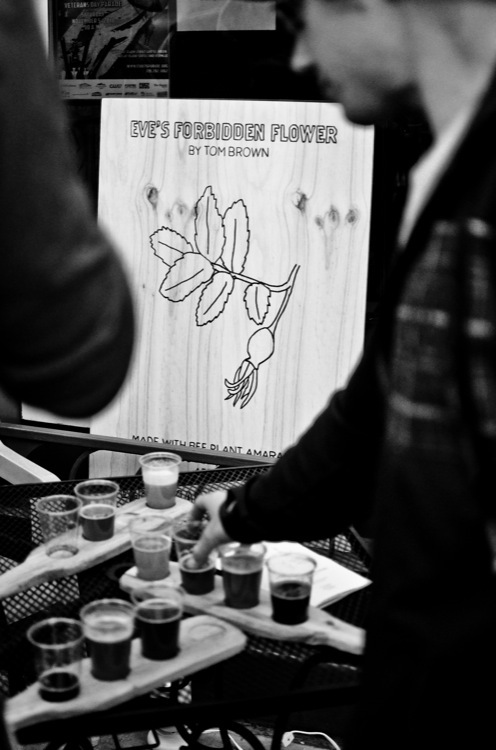 The homebrewer created a recipe and a beer was then produced based on the plants from that trail. Each beer is a portrait of the landscape/trail that inspired its creation. The beers you taste at this event are inspired by Mueller State Park, Old Midland Railroad Grade, the Catamount Trail, and North Cheyenne Canyon. The first four beers were available in August and were made with prickly pear cactus, piñon pine nuts, chokecherry, juniper, three leaf sumac berries, and ponderosa pine needles. The program was organized by myself, Eric Steen, and is sponsored by the UCCS Galleries of Contemporary Art, Pikes Peak Brewing, and Brewer’s Republic…. These final four hikes proved to be vastly different from the first three. To start with, the beginning of the summer season was very dry and many plants that normally are in bloom at the time were nowhere to be found. Sometime in early August, however, the weather began to change, but so did the location of our hikes. The first three, early in the summer, took place in somewhat similar terrain along the front range (Garden of the Gods, Red Rock Open Space, and Palmer Park). For the next hike we drove nearly an hour west to Mueller State Park, near the town of Divide. The area was lush and many of the flowers were in bloom. At the Old Midland Railroad Grade we returned to the springs area (Manitou) after a hiatus of a few weeks, and were surprised to see a huge amount of wild hops growing around the mouths of the caves we walked through. By the time we hiked the six-hour Catamount Trail in Green Mountain Falls, the leaves in that town were beginning to turn yellow and orange. Back in Colorado Springs, however, autumn had not quite arrived. In Green Mountain Falls we had to walk a mile through town to get to the trailhead. A small stream runs through town and we identified many plants that we did not see during our climb to the reservoir. Finally we visited North Cheyenne Canyon, where a number of conditions allow for some vegetation that we had not discovered on any of the other hikes. The hazelnuts and the wild sarsparilla are plants that are remnants from the last ice age and have disappeared from almost all other areas along the front range…. 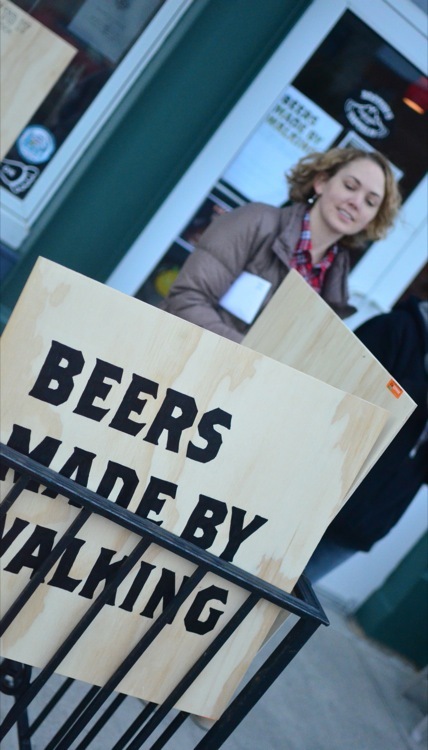 The idea for Beers Made By Walking has been developing over the last few years. The initial inspiration came during my time in the Yukon Territory where I spent a week canoeing down the Yukon River with a group of artists and an environmental education professor. There I was introduced to the term ‘friluftsliv’ a Norwegian term translated as ‘Free Air Living.’ The term describes a way of living in which people make a habit of being outdoors on a regular basis, simply because it is the world we live in. There are Friluftsliv Conferences that host ‘walking lectures’ where attendees hike for a few days on end, stopping every now and again for a lecture and food. 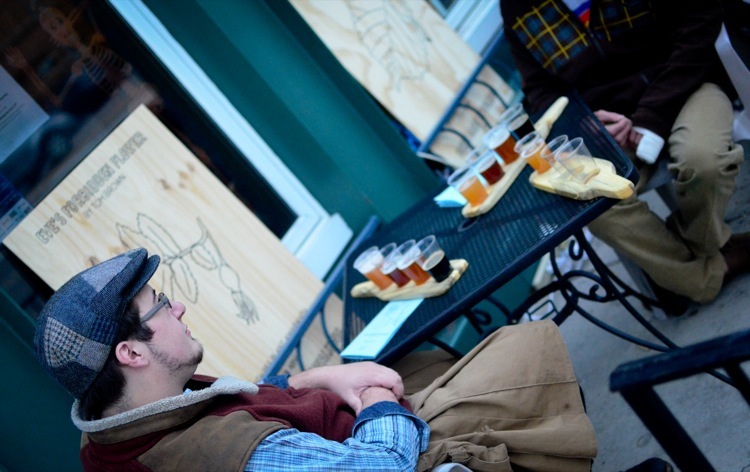 A year or so later I spent some time in Scotland, where I built a pop-up pub that served homebrewed beer. While I was there I visited Williams Bros. Brewery in Alloa. They make beers that are historically Scottish in that they use ingredients that naturally grow in the Scottish Highlands. The English outlawed the use of these ingredients in the 18th Century but in the1980’s the brewery began making these beers from old recipes. This brewery has had a huge impact on how I think about beer, as I have become interested in the idea of ‘indigenious beer,’ beer that celebrates the land that it is made in (‘terrior’ could be a similar word; wine connoisseurs use it to denote how differing landscapes provide unique and specific characteristics to its crops)…. As an artist and homebrewer, I am inspired by the aesthetics of beer and brewing. 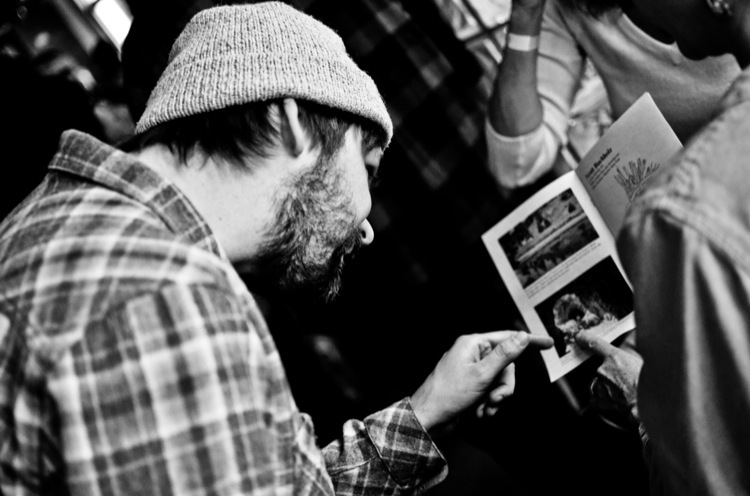 My work (the events I create) is fueled by the idea that beer is the people’s drink – that it brings people together, loosens barriers between people, and that these social elements are integrated into the entire idea, production, and consumption of the beverage. 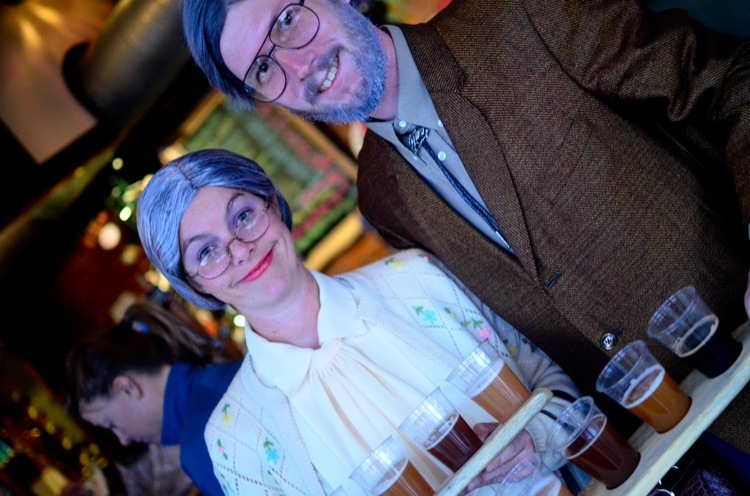 Beer is a social lubricant, as conceptual artist Tom Marioni stated, and it is also a social glue. 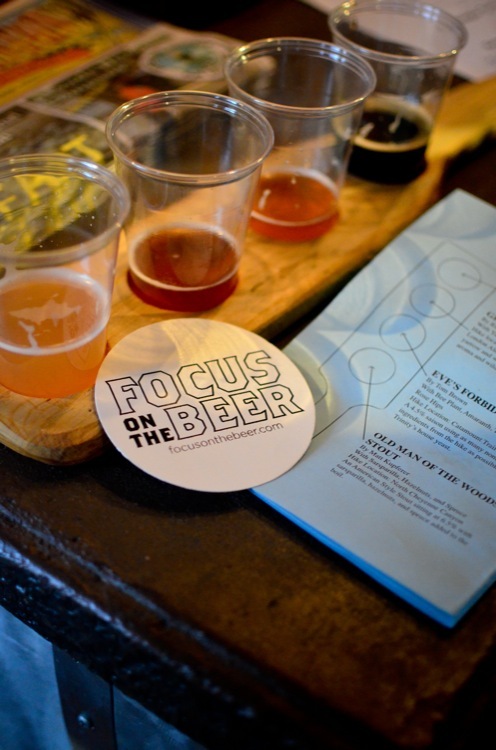 Drinking good beer, to me, is a form of activism as it brings people together, inspires local economy, develops a sense of landfulness, and is known for shaping how people think about where their food comes from. This fascinates me and is a major topic of exploration in my work. The pint is a center for relational activity; sharing a pitcher is an activity that, by the end of the pitcher, will likely have inspired warming conversation and bonded people together. 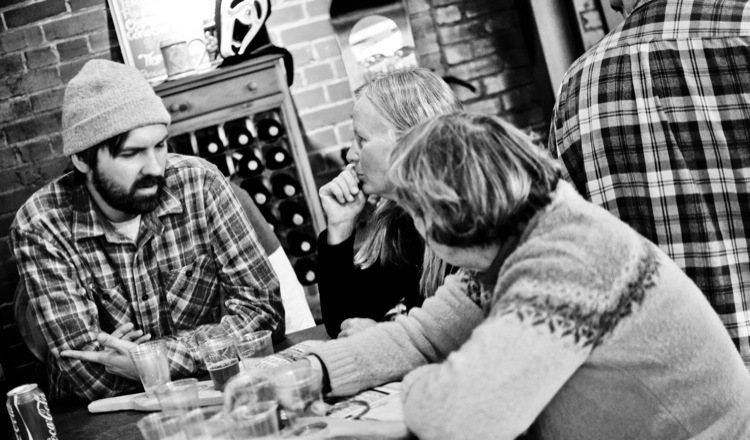 In my opinion, drinking together and community is at the center of well-made beer…. Finally I’d like to thank a few people: Daniel Flanders took all these beautiful photos. Daisy McConnell and Caitlin Green believed in this project and helped make it happen through GOCA. Thanks to Rocky Mountain Brewery who made the first four beers and Pikes Peak Brewing, who made the final four beers. Big thanks to Brewer’s Republic who hosted these tastings! Thanks to the hike leaders Kimberly Banzhaf, George Cameron, Liz Klein, and Paul Gayer. Also of course thanks to all eight brewers: Justin Carpenter, Grant Goodwiler, Isaac Grindeland, Jason Miller, Scott Buchholz, Rich Mock, Tom Brown, and Matt Kupferer. We’re Turning 1!…And We’re Throwing A Big Party!! !